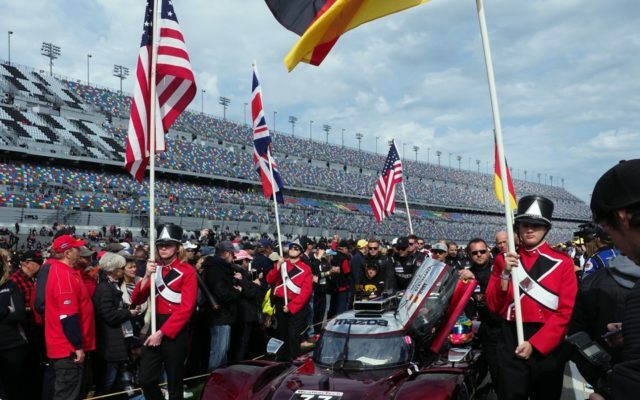 DAYTONA BEACH – Wayne Taylor Racing and its all-star cast of drivers splashed to victory in the 57th running of the Rolex 24 at Daytona. 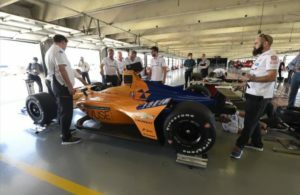 Its drivers were Formula 1 champion Fernando Alonso, World Endurance Championship stalwart Kamui Kobayashi and IMSA stars Renger Van Der Zende and Jordan Taylor. The quartet completed 593 laps around the 3.56-mile storied road course, dominating much of the long race. 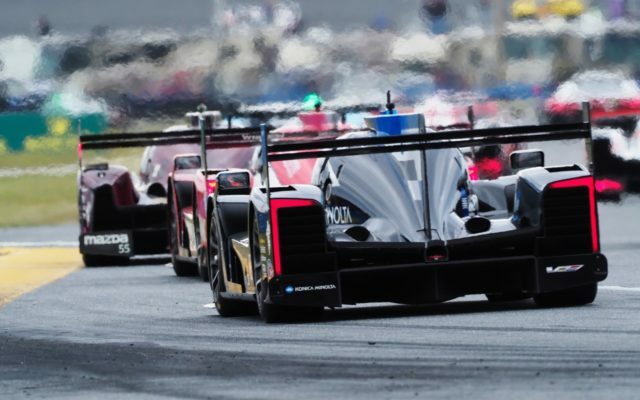 Alonso becomes the third F1 champion to win the Rolex 24, joining Phil Hill and Mario Andretti with their victories. 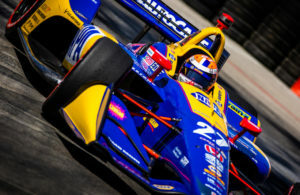 As the race was nearing conclusion, Alonso was driving and had just passed the leading Whelen Engineering Racing car of Felipe Nasr in the water. At the time, Alonso called track conditions deplorable and said he feared crashing. 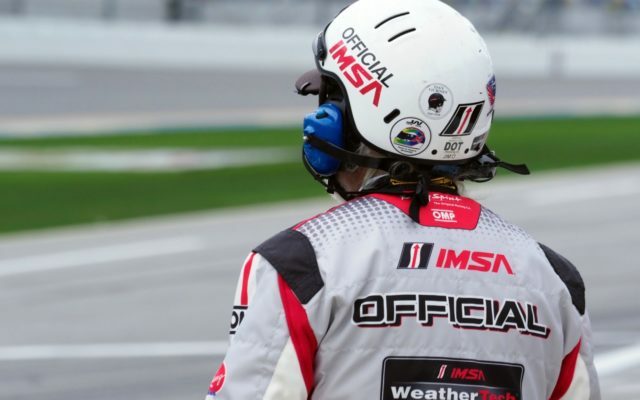 While the race started in cloudy and unseasonably cool conditions, rain was forecast and it arrived with varying degrees of intensity as predicted early Sunday morning, forcing IMSA’s officials to stop the race twice before calling it minutes short of the 24-hour standard after race action had been stopped for more than two hours. 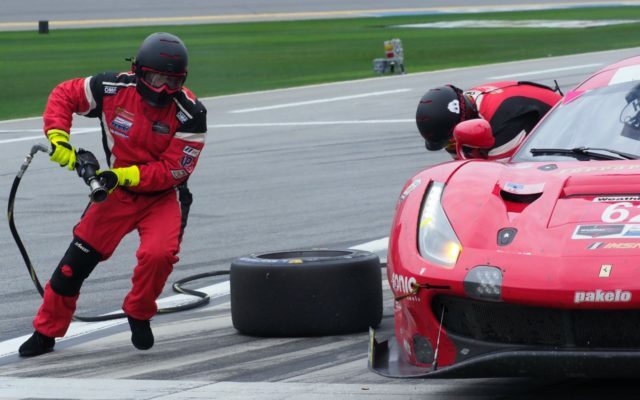 During the final hour of racing, conditions worsened, triggering numerous spins and crashes, which led to the second and final red flag. 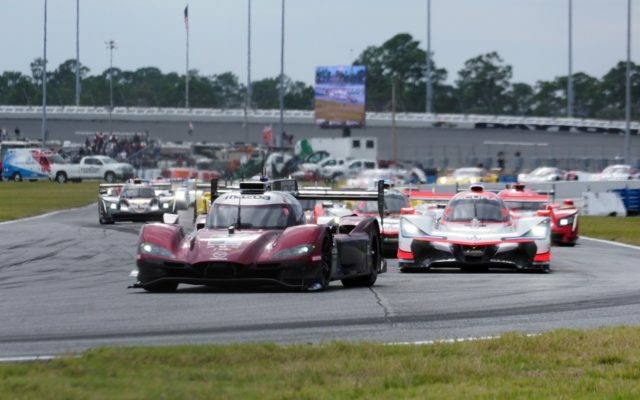 In the dry, a large crowd was on hand to witness the iconic twice-around-the-clock event, the season opening IMSA WeatherTech SportsCar Championship race. 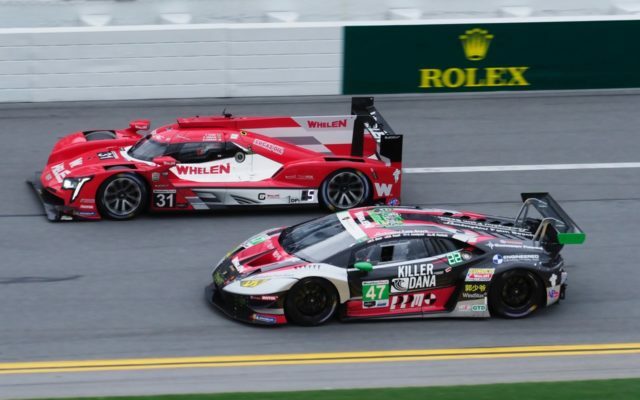 Second place went to the Whelen Engineering Racing Cadillac DPi of Eric Curran, Felipe Nasr and Pipo Derani. 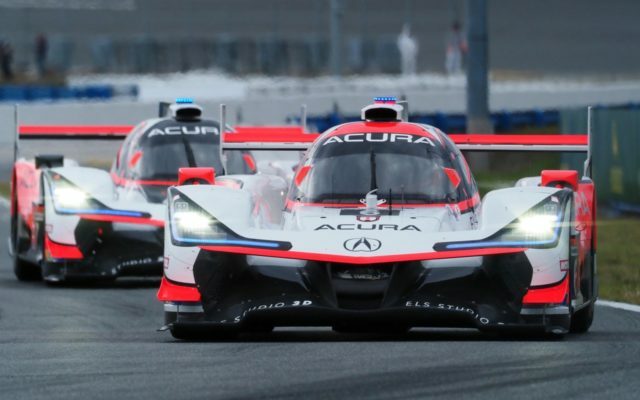 Finishing third in DPi was one of two Acura Team Penske Acura DPi of Ricky Taylor, Helio Castroneves and Indianapolis 500 victor Alexander Rossi. The top three finished on the lead lap. 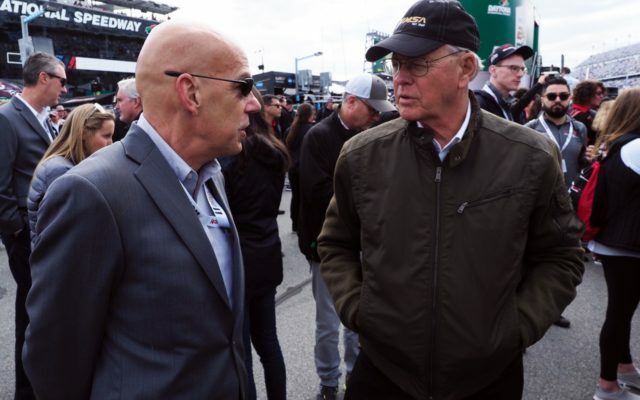 The second Acura Team Penske ended up sixth, 17 laps off the pace. Christian Fittipaldi finished his driving career with a seventh place. The LMP2 win was accomplished by Roberto Gonzalez, Pastor Maldonaldo, Ryan Cullen and Sebastian Saavedra. Only four cars were entered in this new category. In the GTLM class, BMW Team RLL BMW M8 GTE of Augusto Farfus, Connor de Phillippi, Philipp Eng and newcomer Colton Herta were the victors. 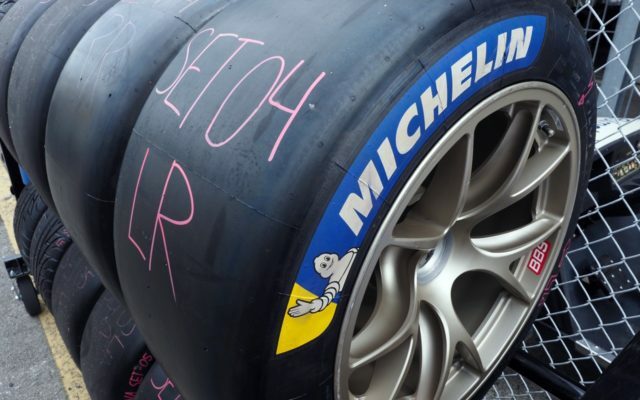 They completed 571 laps. Second went to the Risi Competizione Ferrari 488 GTE and third to the Porsche 911 RSR. 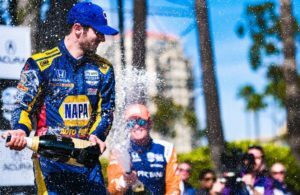 Fourth in class went to the Ford Chip Ganassi Racing Ford GT of IndyCar champion Scott Dixon, Ryan Briscoe and Richard Westbrook. The second BMW driven by crowd favorite Alex Zanardi and others ran into electrical issues and were scored ninth. 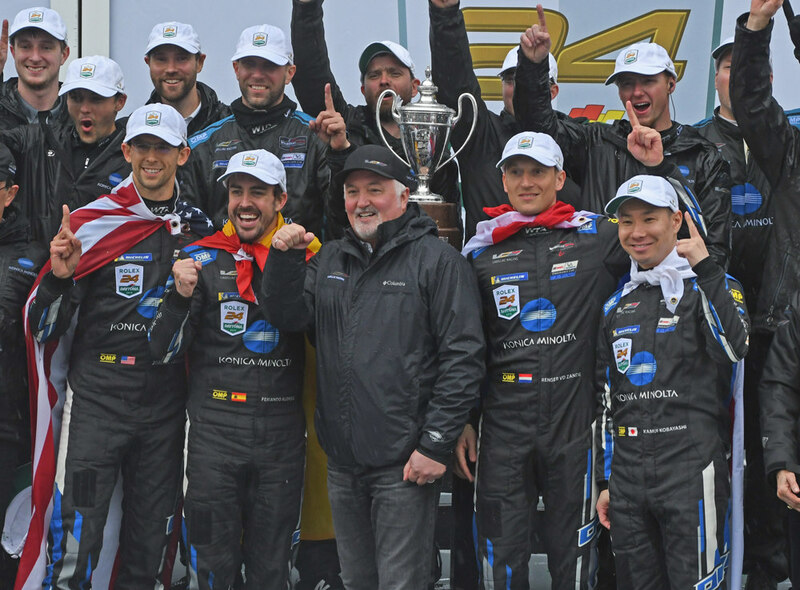 Corvette Racing’s best result was a sixth. With 23 teams vying for the GTD class victory, the GRT Grasser Racing Team Lamborghini Huracan GT3 of Rolf Ineichen, Mirko Bortolotti, Christian Engelhart and Rik Breukers survived the grueling event to take the honors.